Sen. Heitkamp urges Yellen to think about how Fed policies could help middle class. "Trickle-down hasn’t happened." The Washington Post has a full transcript of President Obama's remarks about his change to the Affordable Care Act. PRESIDENT OBAMA:With respect to the pledge I made that if you like your plan you can keep it, I think -- you know, and I've said in interviews -- that there is no doubt that the way I put that forward unequivocally ended up not being accurate. It was not because of my intention not to deliver on that commitment and that promise. We put a grandfather clause into the law but it was insufficient. Nancy Pelosi on GOP ACA fix today: the idea that it is helping consumers is a Trojan horse whose underbelly is poisonous. Dem leadership aide: Today, House Dems will offer an alternative to Upton's Obamacare "fix" bill that is similar to Sen. Landrieu's bill. Dems will offer Landrieu-esque bill during "motion to recommit" on Upton's bill. Could get awkward, Landrieu bill goes further than Upton's. House Dems will offer a "Landrieu-Lite" alternative to the Upton bill as a motion to recommit today. Actually, Dems' Landrieu-lite bill doesn't got as far Upton's. It's pretty watery version of Landrieu's actual bill. In response to the Upton bill, which is currently being debated on the House floor, Democrats have come out with their own plan, according to information coming out of Washington. The Democrats' plan, which has been dubbed 'Landrieu lite' in a nod to Sen. Mary Landrieu's plan, would allow people to keep their current plans through 2014. However, unlike the Republican Upton plan, the new Democratic plan wouldn't allow insurance companies to sell plans to new customers, according to political reporters based in Washington. Dems' bill also requires insurance co's to tell enrollees of better options available through the exchanges. In other words, House Dems' Obamacare fix bill basically mirrors what Obama plans to do administratively. Sooo the House Dems' alternative to Upton bill is EXACTLY what Obama already did. But they're calling it "Landrieu Lite." 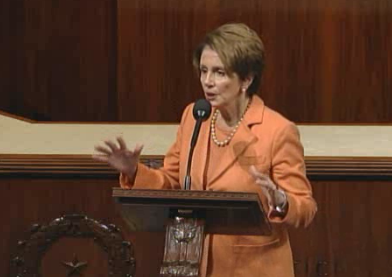 House Minority Leader Nancy Pelosi is now speaking on the floor. It looks like House Rs will rule the Dems' ACA alternative non-germane and prevent a vote on it. House Democrats have attempted to propose an alternative to the Republicans' Keep Your Health Plan Act. However, Republicans challenged the Democrats alternative, saying it wasn't germane to H.R. 3350. The chair agreed with Republicans, a ruling Democrats challenged on the House floor. The House is voting now on a motion to table the Dems' "Landrieu lite" alternative to the GOP bill. YEA means NAY on the Dem bill. I ask Rahall (D-w.va.) how he would grade White House on rollout and communication with House Ds. 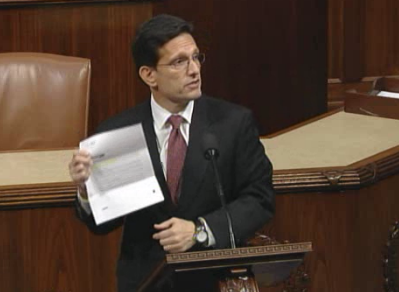 He responds "F minus"
After many delays and arguments, the House is now voting on the Keep Your Health Plan Act. While it is expected to pass the House, it isn't expected to have much luck in the Senate. And Pres. Obama has vowed to veto H.R. 3350 if it reaches his desk. House voting now on the GOP's "Keep Your Health Plan Act." SPOILER: It'll pass, then die in the Senate. Obama has threatened to veto it. The House of Representatives passed Friday the Keep Your Health Plan Act of 2013 in a 261-157 vote. Thirty-nine Democrats voted for the GOP-backed bill. The bill, sponsored by Rep. Fred Upton, allows insurance providers to continue to offer in 2014 plans from the individual market that were in effect as of Jan. 1, 2013. Debate on the proposal started shortly after the House session began at 9 a.m.
President Obama, who announced his own fix to Obamacare Thursday, has spoken out against the Upton bill, saying in a statement of administration policy that it "threatens the health care security of hard working middle class families." Obama has vowed to veto H.R. 3350 if presented with it. QUESTION: Iranian Foreign Minister Javad Zarif is quoted in a lengthy interview with Time Magazine as saying – and I’m going to read the exact quote because I think it’s interesting. He was asked, “What happens if Congress imposes new sanctions even if they don’t go into effect for six months?” And he is quoted as replying, quote, “The entire deal is dead. We do not like to negotiate under duress. And if Congress adopts sanctions, it shows a lack of seriousness and a lack of a desire to achieve a resolution on the part of the United States. I know the domestic complications and various issues inside the United States, but for me, that is no justification. I have a parliament. My parliament can also adopt various legislation that can go into effect if negotiations fail, but if we start doing that, I don’t think we will be getting anywhere.” Close quote. I know that the White House last week made clear that it does not want Congress to pass additional sanctions. QUESTION: Does the Administration concur with Foreign Minister Zarif’s view that if the U.S. Congress passes sanctions, even those that are delayed – whose implementation would be delayed six months, that the deal is dead? QUESTION: I thought it only took one. MS. PSAKI: Well, I should say there are several partners that participate in this, so it’s not up to the United States to decide, is probably the more accurate way of saying it. We have – we do feel that putting new sanctions in place during the course of negotiations, even those that are delayed, would be counterproductive. It could unravel the unity of the P5+1. It could certainly put the negotiations that we have all worked so hard on that we believe is the best chance we’ve had in a decade to achieve a peaceful outcome at risk. And that’s why, as you all know, the Secretary is going to be going up to Capitol Hill tomorrow to testify before the House, and he will certainly be making that point. Now, on the flip side, he will also be conveying that if the Iranians fall back on any part of their – of the agreement, if they don’t abide by the agreement or they violate it, then we would certainly be leading the charge to put more sanctions in place. So the ask here is to hold off on putting new sanctions in place while we’re pursuing a comprehensive agreement because we feel this is the best chance to pursue a diplomatic outcome. Kerry has raised doubts over whether Iran is prepared to conclude a final deal with Western powers on dismantling its disputed nuclear program, but has urged US lawmakers not to impose new sanctions on the country. The top US diplomat, who helped hammer out an interim six-month deal with the country to freeze parts of its nuclear program, said "believe me this is not about trust". "Given the history we are all rightly skeptical about whether people are ready to make the hard choices to live up to this." Iran has denied accusations it is seeking to acquire a nuclear weapon under the guise of its civilian atomic energy program. The House Energy & Commerce Committee has released Secretary Sebelius' testimony prior to this morning's hearing. In the pre-written remarks, she focuses heavily on improvements made to HealthCare.gov and reiterates the benefits of the Affordable Care Act. It appears at least some Democrats are missing from today's hearing, choosing to attend the memorial for Nelson Mandela instead. Rep. Waxman said during his introductory testimony that there was a request to change the time of the hearing to accommodate the memorial, but it was denied. After 'several hundred' fixes, Sebelius says HealthCare.gov is working better for a vast majority of users and can now handle 50,000 simultaneous users. "To those who have been frustrated with the experience so far, we are asking you to come back," Sebelius said, while detailing the fixes made to the HealthCare.gov website. Two months after the troubled rollout of healthcare.gov, it appears the site is finally working. The Obama administration released enrollment numbers Wednesday showing more than 250,000 people have enrolled in health care through state and federal exchanges in November, more than double the 27,000 people who signed up in October. Combined with the numbers from the launch of the troubled HealthCare.gov website, about 365,000 people have enrolled through the healthcare exchanges, a crucial element of President Barack Obama’s healthcare reform. State exchanges still make up the majority of enrollees, at 227,478, compared to the federal exchanges' 137,204 enrollees. And the website, with a new capacity to handle 800,000 visits per day, is now working for most people, according to the Department of Health and Human Services (HHS). Sebelius said that in addition to website fixes, she has instructed CMS to upgrade its employee training. She also told the committee about the creation of a new position at CMS, Chief Risk Officer, who will focus on mitigating risk across the office's programs. She also announced this position Wednesday morning in a blog post on HHS' website. Sebelius demurred and said she was giving the committee the number of people who have chosen a plan. However, Pitts pressed her and asked if she had numbers for people who have actually paid, which she did not offer during his questioning. Rep. Pallone asked Sebelius how she would measure progress at this time in terms of enrollment. Sebelius acknowledged that the early problems with the site frustrated many users who have not yet come back to the marketplace. 'Having said that, we're seeing very, very positive trends," she said, adding that it's not just about the numbers but getting the 'right mix' of people signing up. Rep. Upton also pressed Sebelius to release a figure for how many people have actually paid for coverage. She again said she would give the committee such a number once she has it. When asked if she wishes HHS had delayed the launch, Sebelius said she acted on the best information she had at the time. Knowing what she knows today however, Sebelius said she would have done a 'slower' launch. When asked what grade she would give HHS, Sebelius got a bit defensive, saying she has already acknowledged the launch was flawed and she has taken steps to fix it. Digital privacy in regards to HealthCare.gov has been a huge concern among many legislators. That issue was raised again Wednesday following a story that the California health exchange has been giving the names and contact information of tens of thousands of consumers to insurance agents without their permission or knowledge. However, in response to questioning from Rep. Blackburn about the issue, Sebelius said there is no information released and HHS doesn't store personally identifiable information on the hub.
.@Sebelius testifying on healthcare.gov "For those who have been frustrated w the experience so far, we are asking you to come back"
Sebelius is being pressed on previous testimony Henry Chao gave where he said parts of the backend of the website are not fully built. However, she doesn't give a definite answer about whether the site is fully built on both ends. "Sir, people will be enrolled," Sebelius said, adding that system is in place. 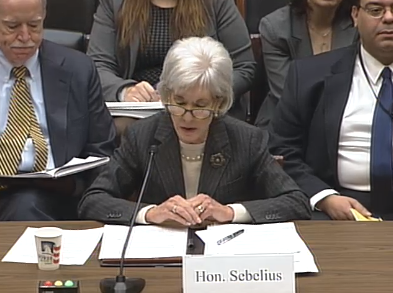 The system is question has to do with insurers and not with consumers, Sebelius stressed. Rep. Shimkus is currently questioning Sebelius and the tone of the hearing is turning rather combative. "It's like talking to the Republic of Korea or something," Shimkus said after interrupting Sebelius, which prompted outrage from some committee members. Chairwoman Dianne Feinstein began her testimony by listing security concerns around the world, including Syria and Afghanistan. She made particular reference to ongoing security negotiations in Afghanistan, saying she is concerned the country won't be able to stop the resurgence of Al-Qaeda. Sen. Saxy Chambliss also invoked Afghanistan, saying the United States must be sure Al-Qaeda doesn't regain a foothold. Clapper is delivering a joint statement on behalf of the intelligence community in general. He starts off by saying there hasn't been a time when America has been beset by more threats around the globe. 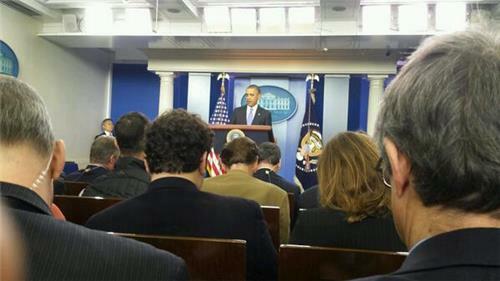 He almost immediately mentions Syria, saying its civil war has been attracting terrorists.